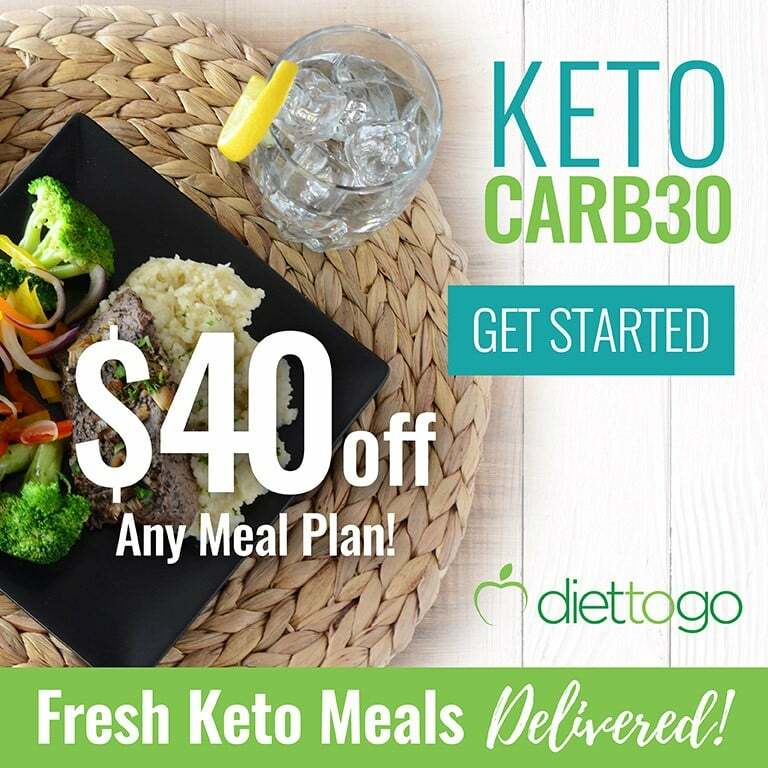 The keto diet? 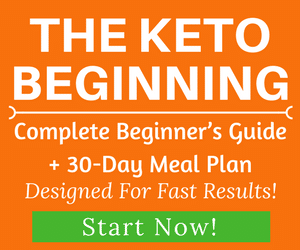 Oh, you mean Taquito diet? I’m all over that! That’s right! 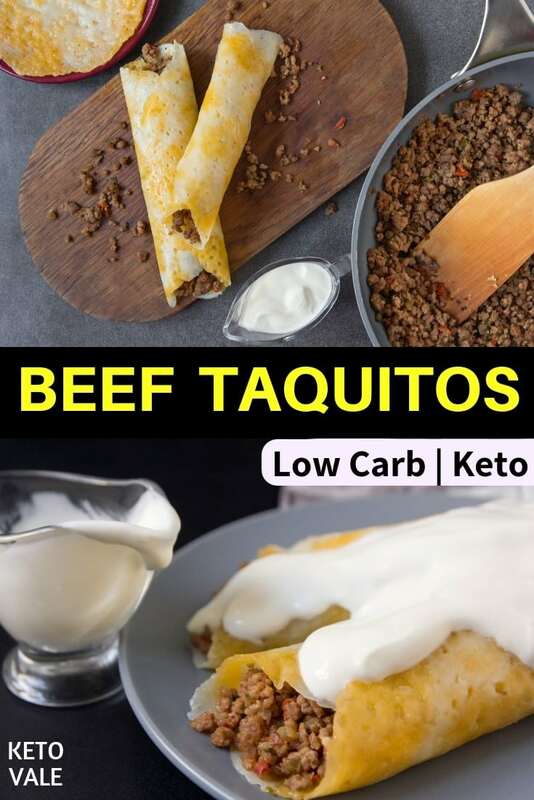 Today we will be making the keto version of Beef Taquitos! 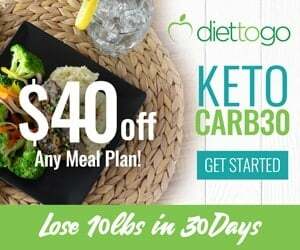 Keto diet is one of the best diets for your creativity because you can create a keto-friendly version of almost every dish. 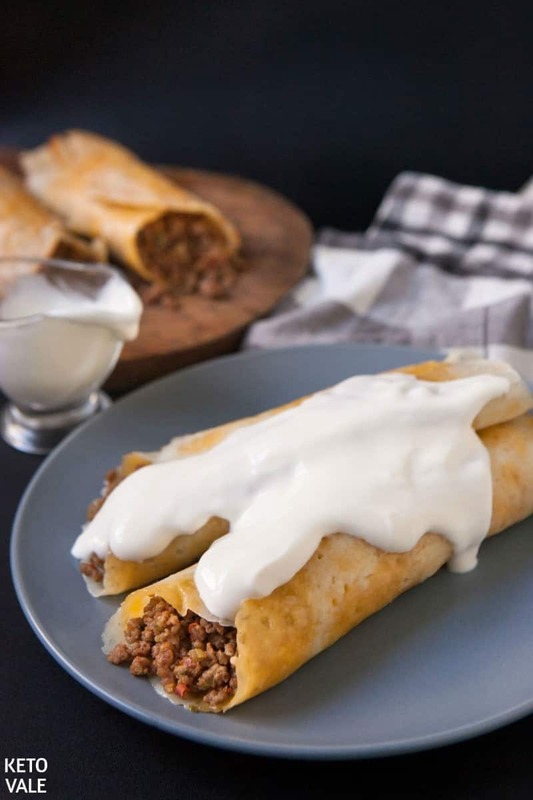 For this Keto Taquitos, we will use beef as the main filling that will satiate you and replenish the body with protein. To make the shell low carb, we use a combination of cheeses: cheddar and mozzarella. They are also rich in protein and healthy fats. We also use garlic powder and onion shallots to add the flavor. It is necessary to roast your meat in coconut oil to get an amazing coconut flavor. Adding little chili flakes for sharpness. 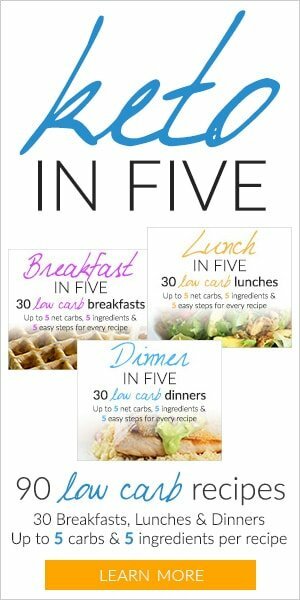 And you can use sour cream or full-fat yogurt as a dressing. Or don’t add anything. Focus on your taste preferences. Bon Appetit. Preparing the fillings: In a frying pan over medium heat, saute shallot in coconut oil until it releases the fragrance. 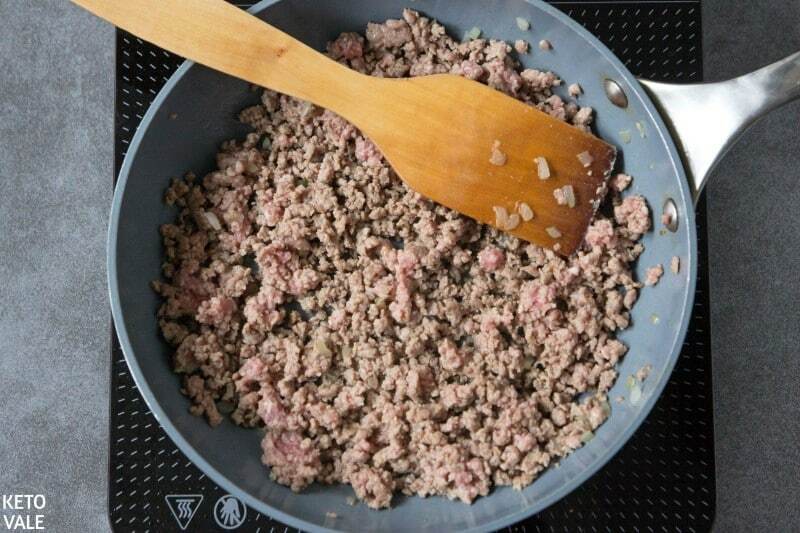 Add ground beef in and cook for 4 minutes. 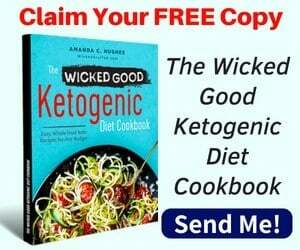 Next, add low carb salsa sauce (or low carb enchilada sauce or marinara sauce) in along with your favorite spices such as garlic powder, chili flakes, salt, and pepper or you can also use this homemade keto taco mix. Reduce the heat and simmer for 10-12 minutes. Making the tortilla shell: Preheat the oven to 400 F. In a bowl, combine cheddar and mozzarella. Mix well then divide this mixture into 4 equal parts. 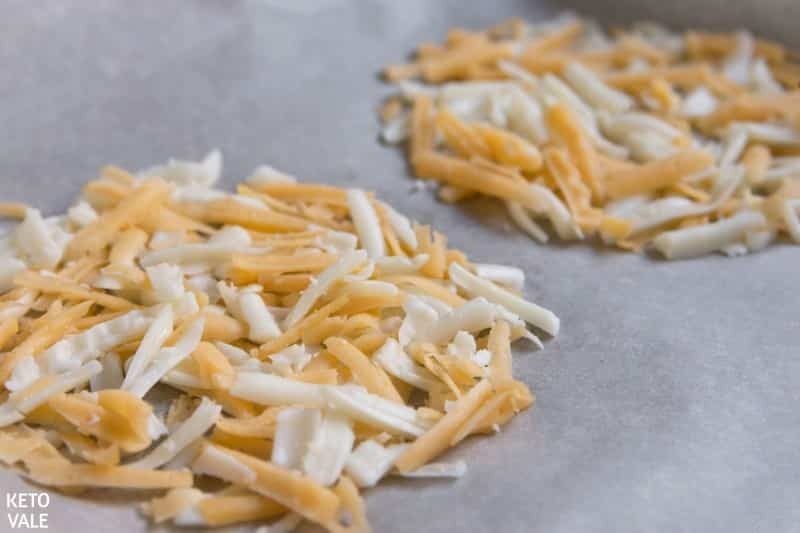 Place the cheese mixture on the baking tray with parchment paper and bake for 5-7 minutes. Remove and let cool. Assembling the Taquito: Add cooked beef on each shell and roll quickly. 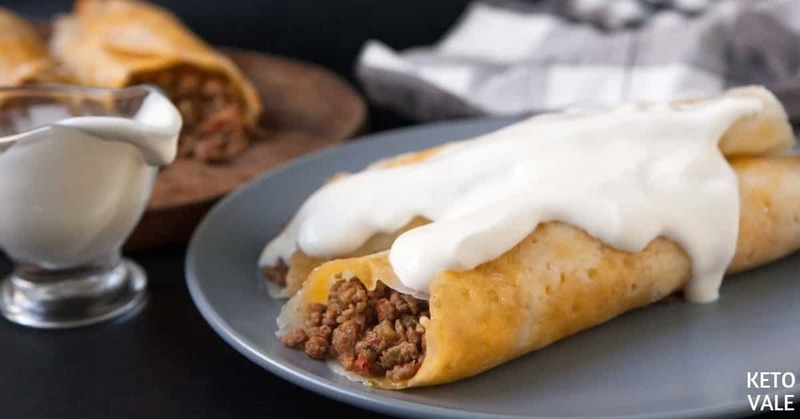 Serve immediately, topped with sour cream (optional). Heat coconut oil in a frying pan, add shallot and fry for 2 minutes, add minced beef, cook for 3-4 minutes, stir in salsa, chili flakes, garlic powder, salt and pepper. Cook on low for 10-12 minutes. Preheat the oven to 400 F. Line a baking tray with parchment paper. Mix cheddar cheese and mozzarella in a bowl and divide this mixture into 4 parts. Place shells on the baking tray and bake for 5-7 minutes. 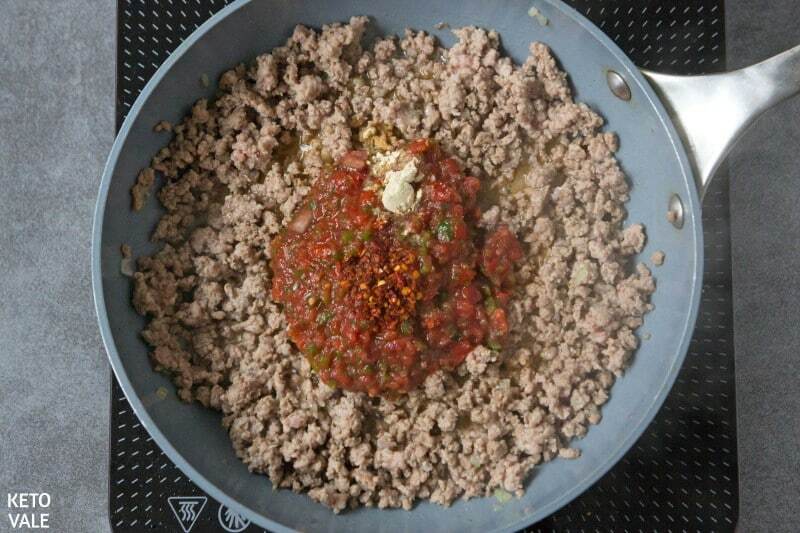 Let cool for a minute, add 2 tbsp of beef mixture on each shell and roll quickly. Serve immediately, topped with sour cream (optional).